Our BloombergNEF colleagues often say that China is “half of everything,” such as aluminum, steel and copper consumption. For the electric vehicle sector, China is at least half of everything, if not far more, in three key areas: It represents 76 percent of all commissioned lithium-ion battery manufacturing capacity; logged 60 percent of global EV sales in fourth-quarter 2018; and held 50 percent of global public vehicle-charging infrastructure as of the end of 2018. That helps explain just how large China is as an electric vehicle market, but a number of myths and misconceptions still drive much of the perception of the country’s role in electric transportation. 1 Let’s dispel some of them. Myth: Electric vehicles make up only 1 to 2 percent of vehicle sales in China. Two years ago, electric vehicles were about 1 percent of all vehicle sales in the world’s largest vehicle market — about the same as in North America or Japan, and about half the figure in Europe. 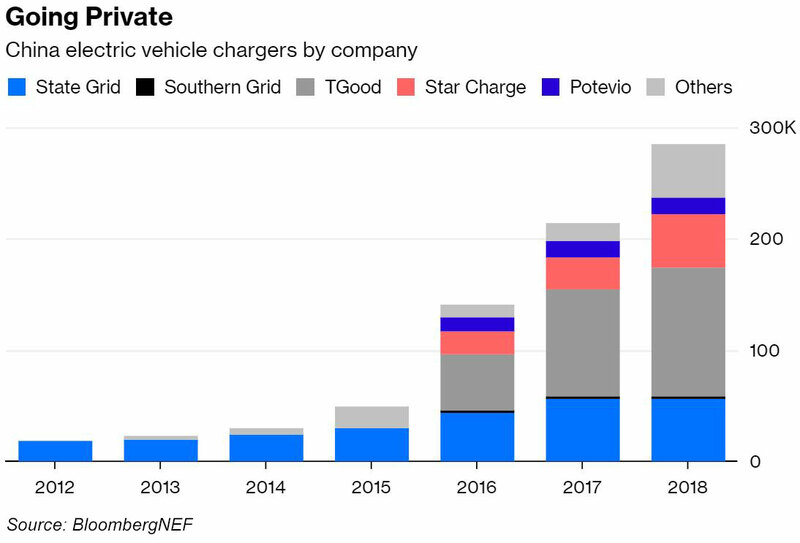 By the end of last year, though, electric vehicles made up 7 percent of new vehicle sales in China, with a compound growth rate of 118 percent since 2011. Five years ago, about 15 times more small, low-speed electric vehicles than normal passenger electric vehicles were bought in China. 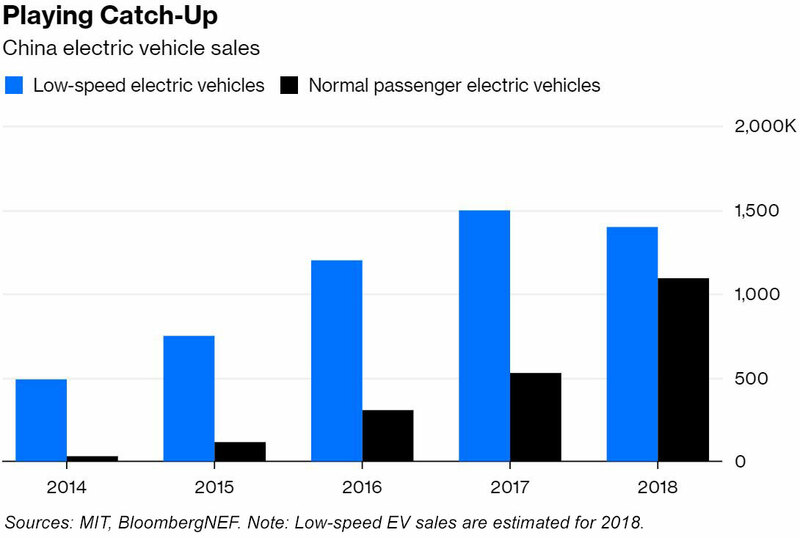 Last year, though, buyers picked up nearly 1.1 million normal passenger electric vehicles, compared to 1.4 million low-speed vehicles. It’s important to note that low-speed vehicles are excluded from government EV subsidies, and low-speed electrics are not counted in official government EV sales figures. Small and low-speed vehicles are still the majority of the market, but they are not the entirety of the market. Myth: The national government forces everyone to buy electric vehicles. There are numerous national support mechanisms for electric vehicles, including direct subsidies for purchase, industrial support policies, mandates and quotas for sales, and emissions and fuel-economy regulations for new car sales. However, local regulations — in particular city-level restrictions on internal-combustion vehicles — are a significant driver of electric vehicle demand. Six Chinese cities have major restrictions on internal-combustion-vehicle purchases. 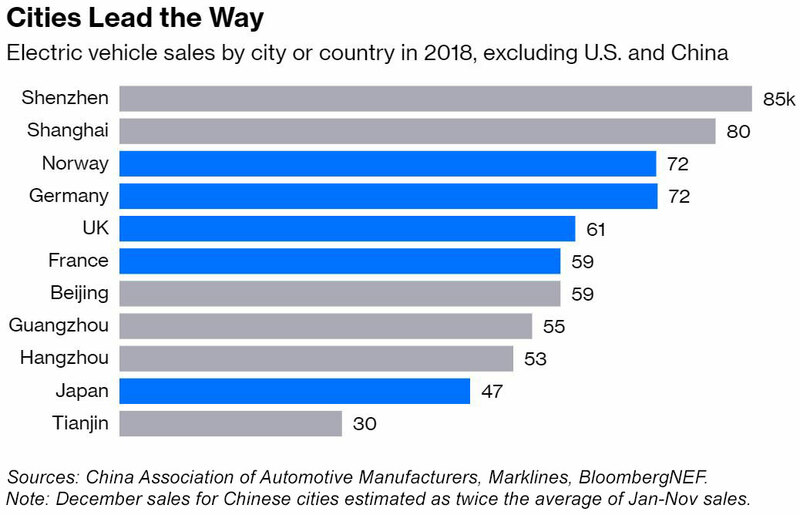 If we consider them their own markets, and exclude the U.S. and China as a whole as markets, these cities were six of the biggest electric vehicle markets in the world last year. Also important: Different local incentives for plug-in hybrid and pure electric vehicles have led to very different proportions of plug-in hybrid and pure electric vehicles sold in Shanghai (mostly plug-in hybrids) and Beijing (almost entirely pure electric). Dispelling these myths helps us better understand the world’s biggest electric vehicle market. 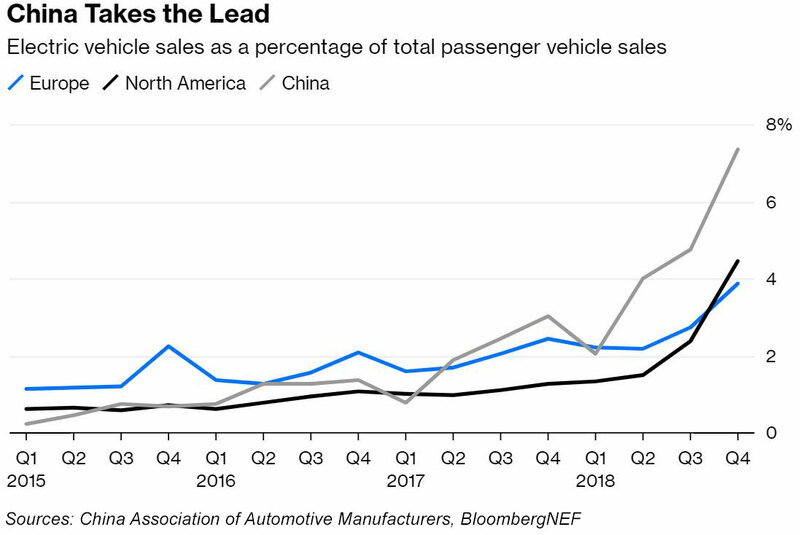 Putting that market into the context of all auto sales in China is important, and it leaves us with a question: Have internal-combustion-engine sales peaked in the world’s biggest passenger vehicle market? China passenger vehicle sales fell almost 7 percent year on year in 2018, even as electric vehicle sales soared. If we subtract electric vehicle sales from total sales, we see six straight months of declining internal-combustion sales compared to the year before. 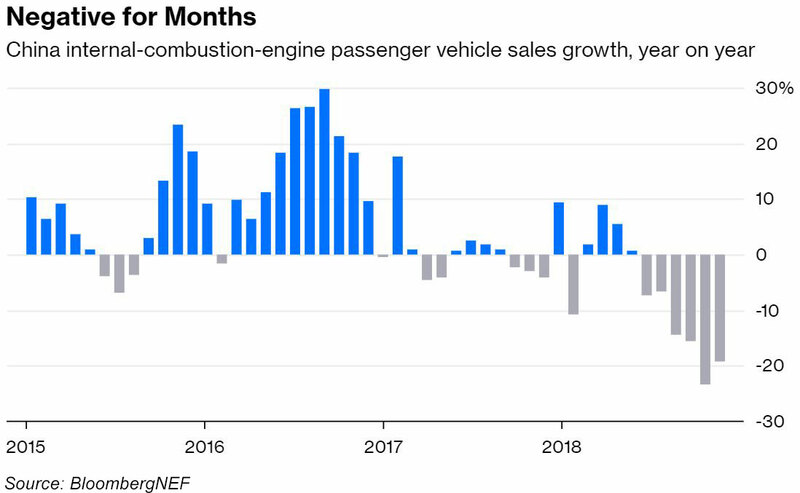 In November 2018, internal-combustion-engine sales fell nearly 20 percent from a year earlier. It is certainly too soon to call a peak on a market as large, dynamic and government-influenced as China’s passenger vehicle market. It is worth considering, however, how much growth potential it will have in the future — and how much of that growth will be electric.